Just one button holds Halle Berry together. As usual, Lil' Kim leaves lil' to the imagination. An eager Ashton Kutcher tries to molest Best Kiss co-presenter Christina Ricci. 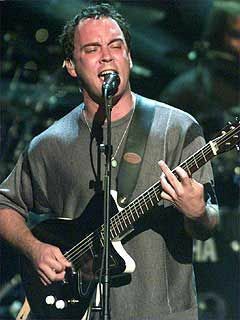 Dave Matthews woos the audience with "The Space Between." Chris Klein, Drea de Matteo and Seann William Scott oblige the paparazzi. Rachael Leigh Cook shows off her ultra-VIP backstage pass. 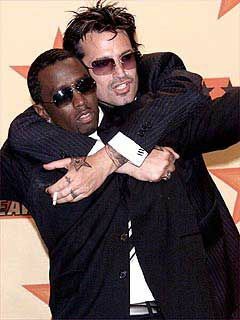 Suddenly, Tommy Lee attacks P. Diddy! 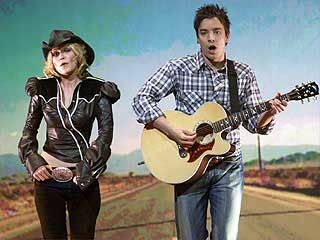 Co-hosts Kirsten Dunst and Jimmy Fallon hit the high road for a Madonna spoof. 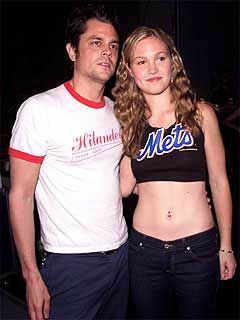 Julia Stiles and a Jackass. Mike Myers can't help fantasizing about Cameron. Pink, Lil' Kim, Mya and Christina Aguilera do it up, Lady Marmalade-style. 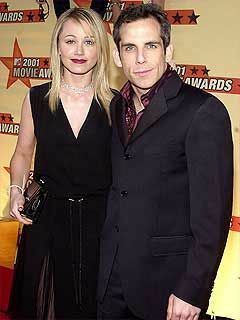 A perfect pair: Christine Taylor and Ben Stiller. 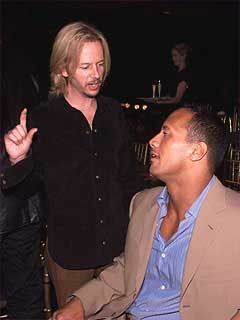 David Spade cuts The Rock down to size. 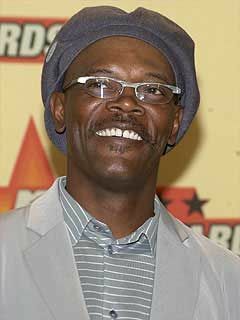 Samuel L. Jackson always manages to pull off any look. Shannon Elizabeth puts herself on display for the red carpet. 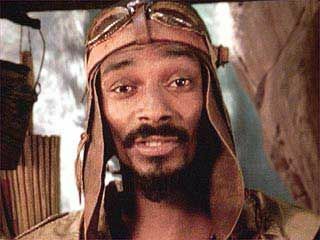 Snoop Dogg donned aviator attire for his starring role in a Movie Award short. Zhang Ziyi is just as sleek and shiny as her golden award. 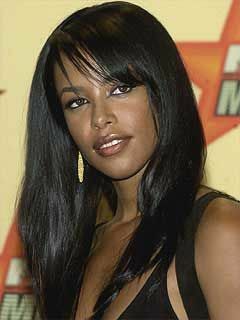 The lovely Aaliyah graced the red carpet last year. Jimmy and Kirsten--Hollywood's next star couple?